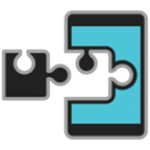 Xposed Framework is a modification for root-level users that allows them to apply a wide series of mods and tweaks to a variety of Android releases and skins. It's become a popular alternative to full custom ROMs, especially for users who only want one or two tweaks to their devices instead of a full transformation. The creator of Xposed, who goes by "rovo89" on XDA-Developers, posted a new version for Android 6.0 Marshmallow this afternoon after a brief tease earlier this week. End users need to flash an Xposed file in a custom recovery like TWRP, then install a root-enabled Xposed manager app in Android. From within the Xposed manager app you can download modules (the modifications themselves) using the app's extensive library or browsing for individual modules on the Play Store or in a browser. At the moment the 6.0 version of Xposed, version 77 (version 76, mentioned on the download page, had some problems and is no longer available) has only been tested with the SuperSU root permission manager, and some modules and capabilities may not work with newer versions of SELinux. Some Samsung and Sony phones on stock software are seeing bootloops. And of course, individual modules like GravityBox may need to be updated to work. I'd recommend making a full backup of your current system in your custom recovery before applying the Xposed file, just to be safe. Rovo will be releasing an updated version of Xposed for Android 5.0/5.1 to add some of the newer changes and account for the recent wave of Stagefright security patches. Check the first source link below for full installation instructions. Ready. Set. Flash!